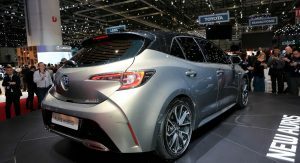 The new Toyota Auris isn’t just a rapid departure from its predecessor because of the new styling; it’s also because it’s based on the company’s latest TNGA global platform. 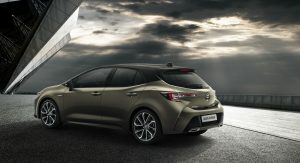 Thanks to the adoption of the TNGA platform, Toyota claims that the new Auris is now a better, more responsive drive too. 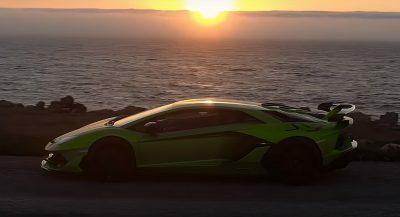 With its predecessor offering a rather forgettable driving experience, it’s certainly good news to hear that. 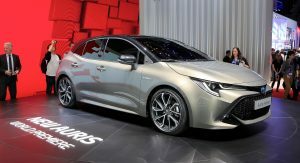 The Japanese carmaker also says that the center of gravity is now lower and the front-to-rear weight balance is improved, making the new Auris more stable while the significantly stiffer body contributes in making it more comfortable too. 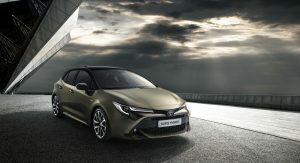 The new design of the Toyota Auris altered its proportions in comparison with its predecessor, making the five-door hatchback more dynamic and characterful. The new generation Auris is 40mm longer than the old one, thanks entirely to the longer wheelbase. In addition, the body is 23mm lower and 30mm wider. 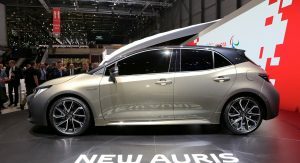 The adoption of the TNGA also allowed the new Auris to lower its cowl height by 47mm, improving the driver’s field of vision. 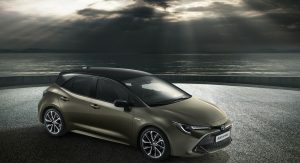 The new Auris will also become Toyota’s first model to be offered with two hybrid options. 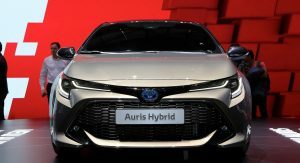 The first one is the same with the Toyota Prius, merging a 1.8-liter petrol unit with an electric motor for a combined 120hp. The second one is the more powerful newcomer, a petrol-electric 2.0-liter powertrain with a combined 178hp. 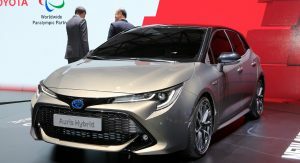 Toyota says that this will offer an ‘energized drive’, with steering-mounted paddles for extra engagement. 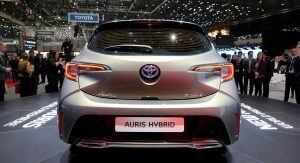 No diesel units will be offered in the range of the new Toyota Auris, leaving customers who don’t want a hybrid only with the option of the base-spec 1.2-liter turbo petrol that makes 114hp. 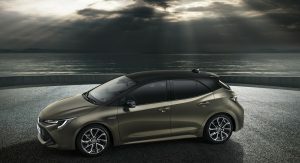 Toyota still hasn’t revealed any fuel economy or performance figures, as well as the interior of the new Auris. 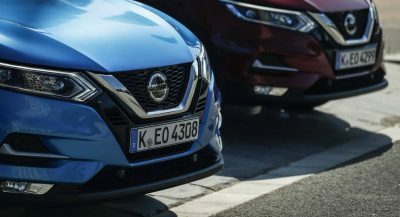 Nevertheless, we should expect them in the coming months, if not weeks, as the new Japanese Golf rival is expected to be launched in Europe later this year. 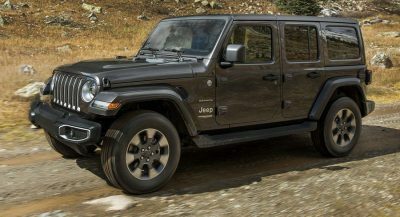 What is stupid is that the more automakers are downsizing the engine the bigger front grille is coming. And toyota has nailed it with recent Avalon/Camry and now with this design. I like how this looks. Easily the best looking Toyota on market. I can only dream of a G(e)RM(a)N version of this. The face looks like a bug, sort of. Pic 6 makes the front end look like a fish. 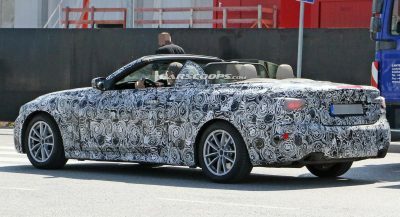 I can’t wait for these HUGE grills and floating roof fads to be over with! Toyota is the worst at it. it looks like the design was signed off 10 years ago, dated and old before launch …. Dude, that’s what forums are for, to express and share our opinions. Thumbs up to you for liking it and expressing it. On a side note, the Mazda3 is one of the best looking hatches out there at the moment. looks like total garbage. exactly like their asian yaris sedan from like 2011, kinda of like the new prius who the hell designed this?? No the hell it does not. I miss the old days when you could get large and powerful non hybrid engines. Like the 2007 Auris that had a 2.2L diesel with 177 hp and 400 NM of torque. At least you can get the Golf TDI with 180 hp or Golf R with 300 hp. Thought it was a Peugeot 208!